What's the process for making domed labels? Read our Liquid Lens Doming guide to find out! This guide explains all you need to know to get started, whether you’re planning to invest in a complete doming system for your factory or preparing to make your first batch of domed labels. We’ll start with the equipment you’ll need, then explain how to print your labels and apply the resin. Talking of resin, it’s important to note before we begin that there many types and formulations of resin. This guide relates to Advanced2 polyurethane resin, which may be why the instructions below seem deceptively quick and easy if you’ve tried resin doming before. 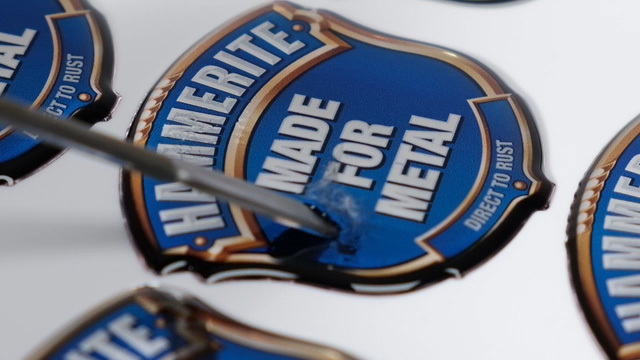 The process for making domed labels starts with an image, which needs to be printed on suitable print media. Then we need to cut the labels out of the media and finished them off with the dome. 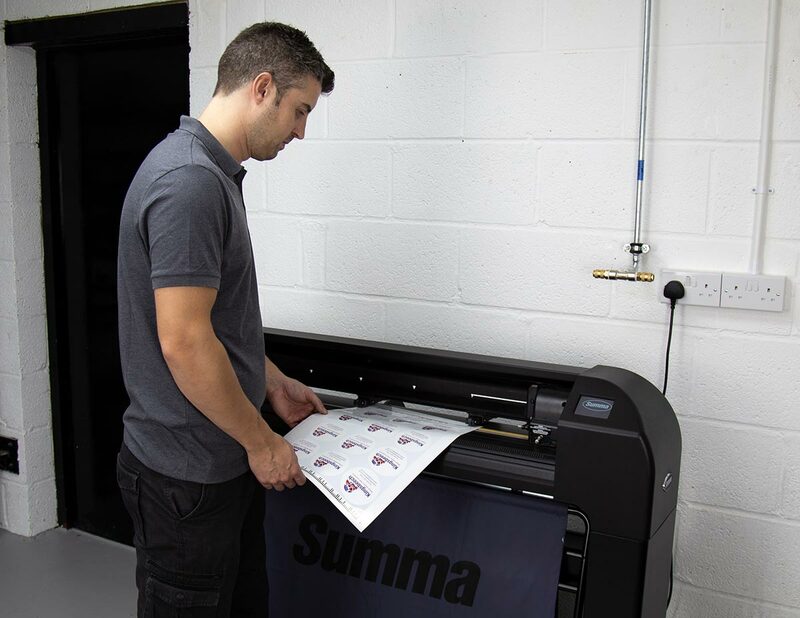 Printing and cutting requires specific but commonly available devices, while doming requires some specialised equipment that you might not have seen before. Labels begin with images. In many cases the image will be an existing company logo. If you don’t have an image, or need to repeatedly create or edit them, you’ll need software such as Adobe Illustrator, CorelDRAW, Graphtec Pro Studio or SAi Flexi sign making software. Once you have an image, you’ll need a way to lay them out for printing. You can create layouts with Flexi and Pro Studio or with Caldera VisualRIP+, which is more suited for high volume manufacturing. 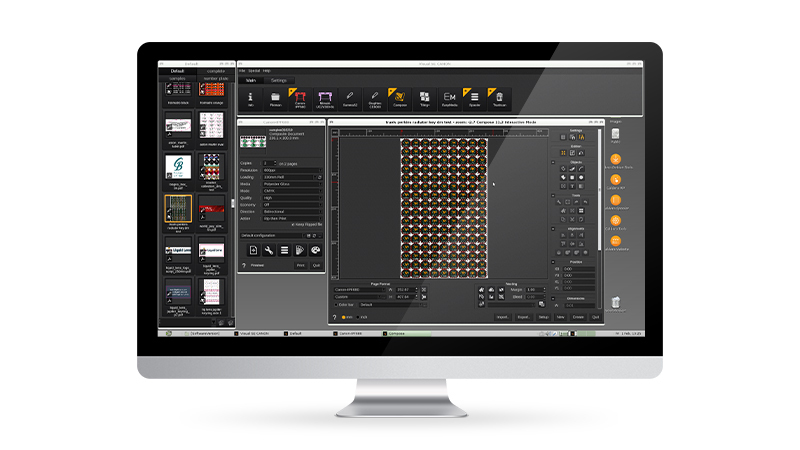 For lower volume production, Liquid Lens recommend Graphtec Pro Studio, which is now driven by SAi FlexiSIGN. 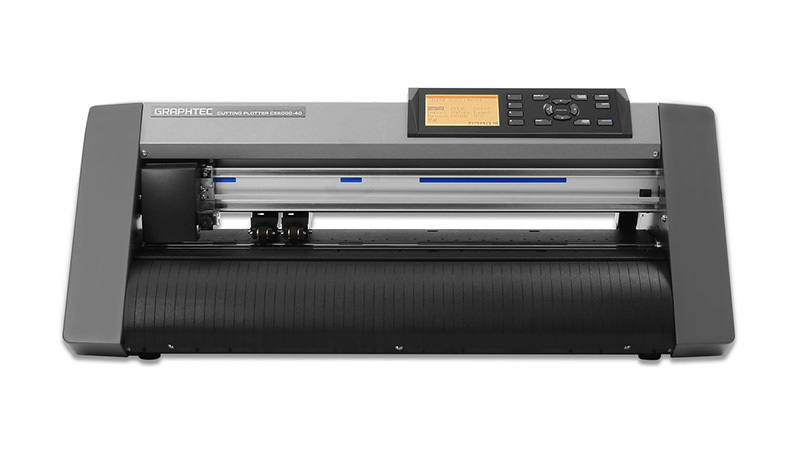 With Pro Studio you can create, edit, layout and print images, which is why we include it in our complete systems Label System 75 and Label System 400, and with all Graphtec cutters if you buy them separately. 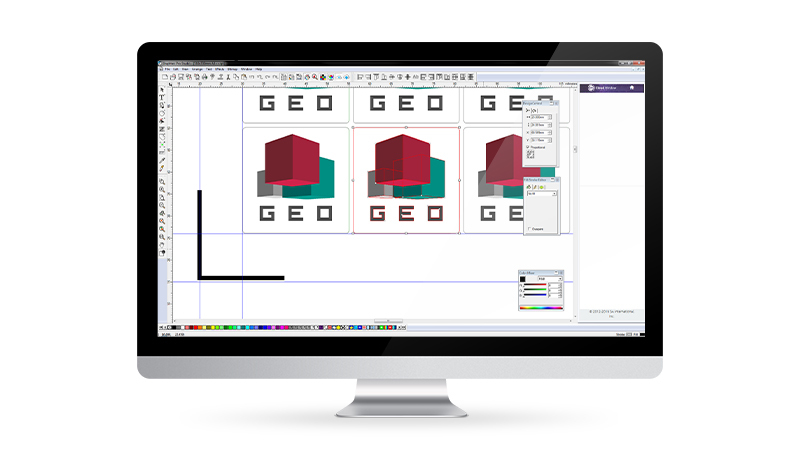 In higher volume environments, you’re likely to benefit from more colour-management, speed and efficiency features, so the combination of Adobe Illustrator and Caldera VisualRIP+ would be ideal. 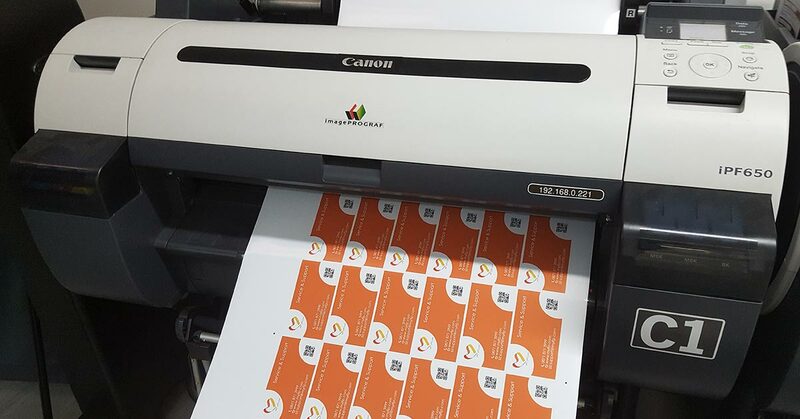 We include VisualRIP+ in Label System 600 because it offers full colour-management (Pantone, CMYK, HKS, etc. ), the ability to quickly switch between templated print jobs, cutter barcode creation, cost tracking, job history and various other high-production tools. Finally, all of this software needs a computer to run on; either PC or Mac. You’ll need to choose a combination that works for you, for example; VisualRIP+ runs on Mac OS and Linux, while Graphtec Pro Studio requires Windows. We provide a PC, installed with Linux and VisualRIP+, as part of Label System 600. You’ll need a printer that can print at the volume you need, which comes from a combination of speed and media size, i.e. with larger media you can print more labels at a time. The printer also needs to use the right type of ink. 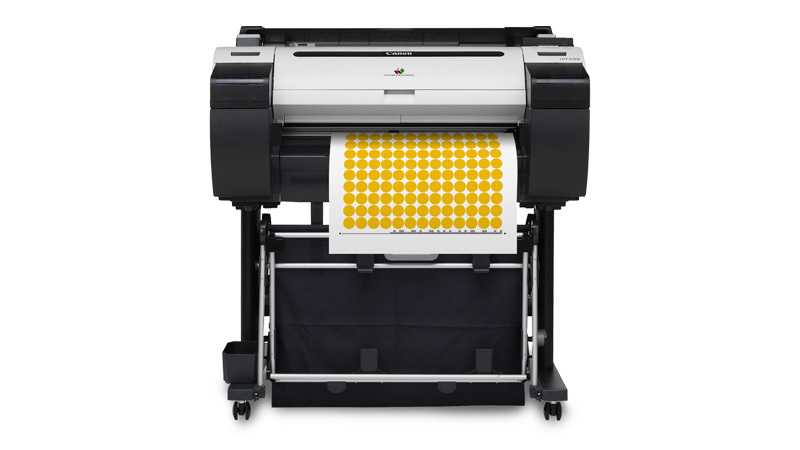 We highly recommend inkjet, aqueous (dye and pigment) and solvent or eco-solvent printers. Laser printers are normally unsuitable for use with Liquid Lens polyurethane resin. 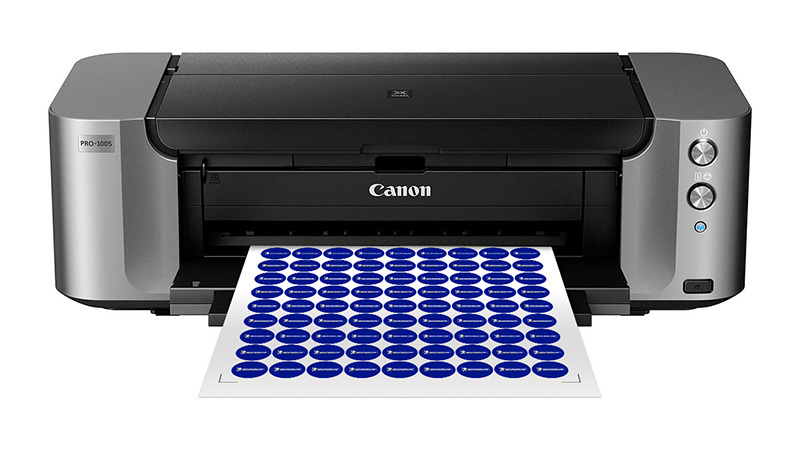 The smallest printer we recommend is the Canon Pro100S, which is ideal for small batches of labels. For higher volumes, such as 500+ per day, we recommend something like the Canon iPF that’s included in our Label System 600. Labels aren’t made individually, you need to cut them out of a much a larger label known as Print media. 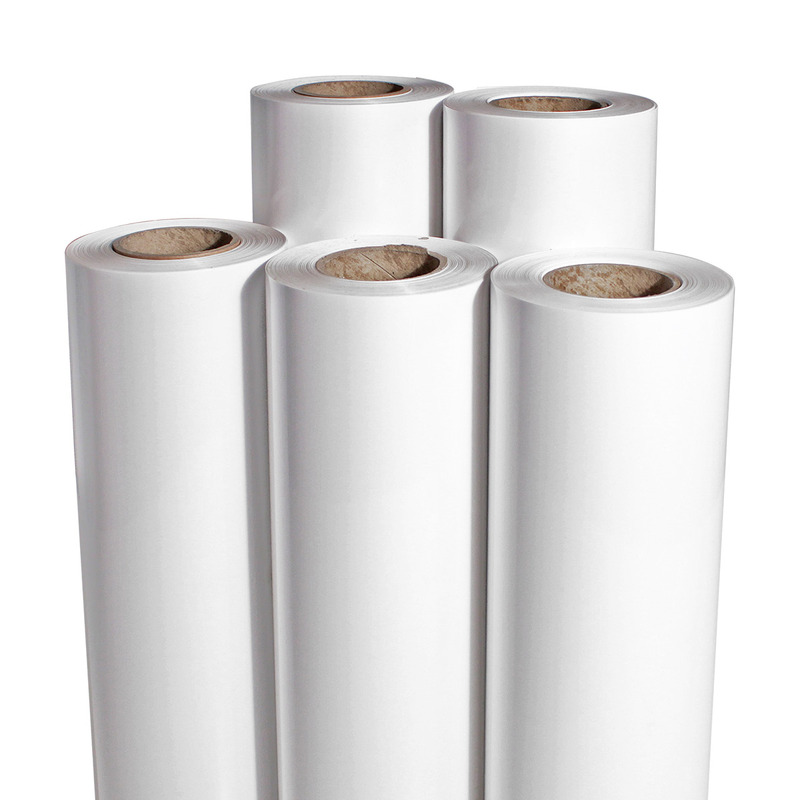 Print media comes as a sheet or roll, in various sizes and finishes, and with different types of adhesive. Doming requires specific print media, such as self-adhesive gloss polyester or vinyl. We’ve selected or designed all of our print media to give you a smooth, even flow of resin and vibrant, high-resolution printing. 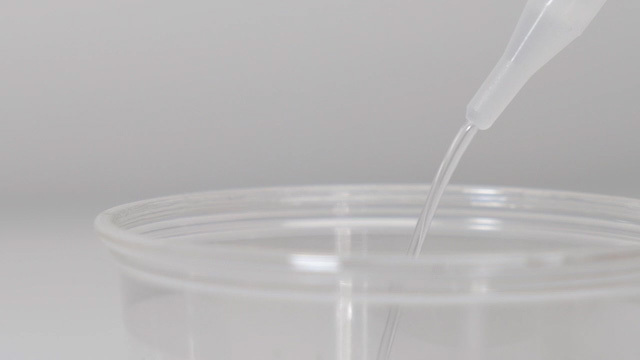 We’re particularly proud of our Liquid Lens Polyester, which we designed to suit our Advanced2 polyurethane resin. Once printed and dry, an outline needs to be cut around each image to create an individual label. 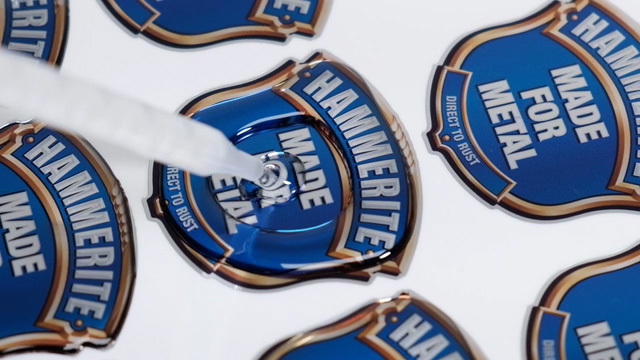 It’s essential to use an accurate cutter when making domed labels. You’ll want the cut line to be perfectly central to the image. This is especially true if you have a border, which needs to be the exact same thickness all the way around the edge of the label. Plus, as you’ll see later, the crisp sharp edges made by a quality cutter cause flowing resin to stop where you want it to stop. Cutters can be controlled either by sending a file to cut, which works just like sending a print job or by adding barcodes to the original print. Some cutters can read the barcodes, which speeds up the process. We recommend one of two cutters, depending on requirements. 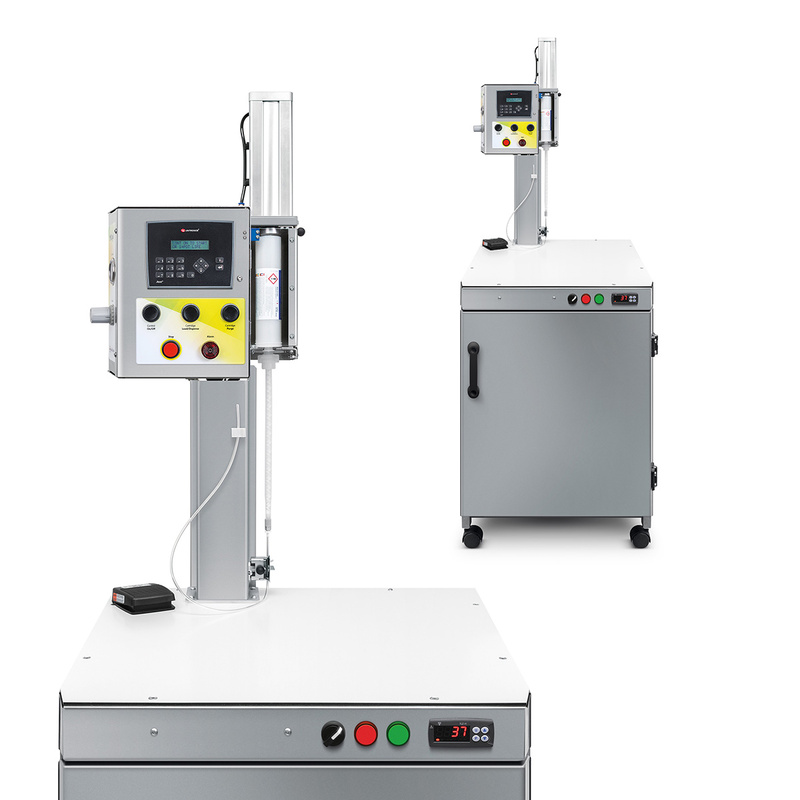 We include the Graphtec CE6000-40 in two of our Complete Systems because it balances low cost with high quality and it’s large enough for most doming production needs. In our experience, it’s also quick, reliable and works beautifully with Pro Studio. 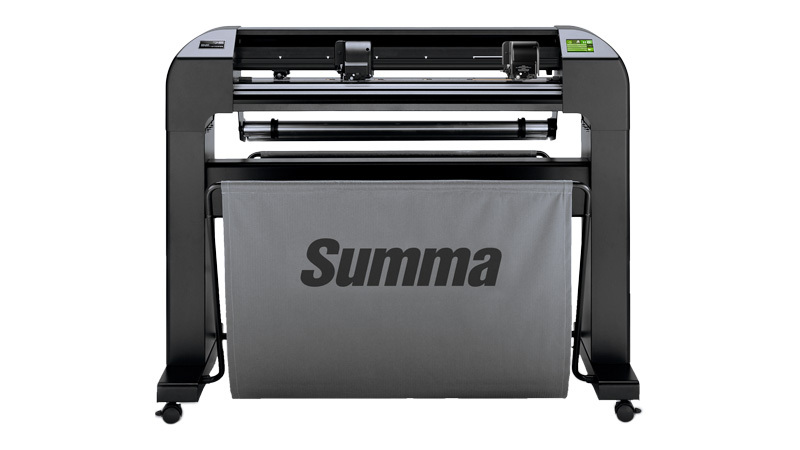 For high-volume production, we favour the Summa S2 D75 because it’s specifically designed with features that deliver speed and precision, plus unattended cutting. For example, it can automatically identify registration marks, read barcodes and recognise multiple jobs printed on the same roll of media. We include the Summa S2 D75 in our Complete System 600. So far, the equipment you need has been all about labels and there are many options that would be suitable. Now it’s time to focus on doming those labels, and there are only two options we trust; a Liquid Lens Kit or a Liquid Lens Machine. 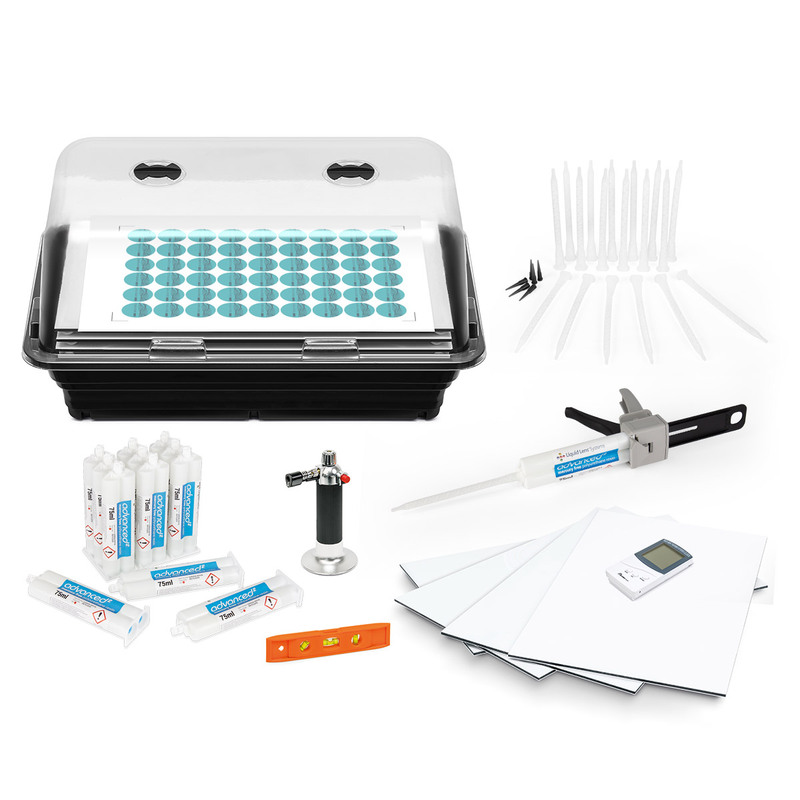 A kit provides everything that you need to manually apply resin to your labels, such as applicators and a curing box. A machine helps you to do the job more quickly, with more automation and includes an oven to speed the curing process. There’s also the combined option of using a kit and an oven, which can be a great solution in some cases. The key difference to consider when comparing the two most common options is production speed. However, label size can also be a factor. For example, a kit would be suitable for producing up to 500 labels per day if the labels are less than 5cm in diameter. A machine will enable you to produce at the same rate even if the labels were three times the size, or to produce those 5cm labels at a much higher rate. Neither is better, it all depends on which gives the best ROI for the particular label size and production volume that you need. That fact is why we’ve designed several options for doming machines and doming kits, to suit various sets of needs and curated several Complete Systems. Each Complete System provides matched combinations of PC, software, printer, cutter and a kit or machine. 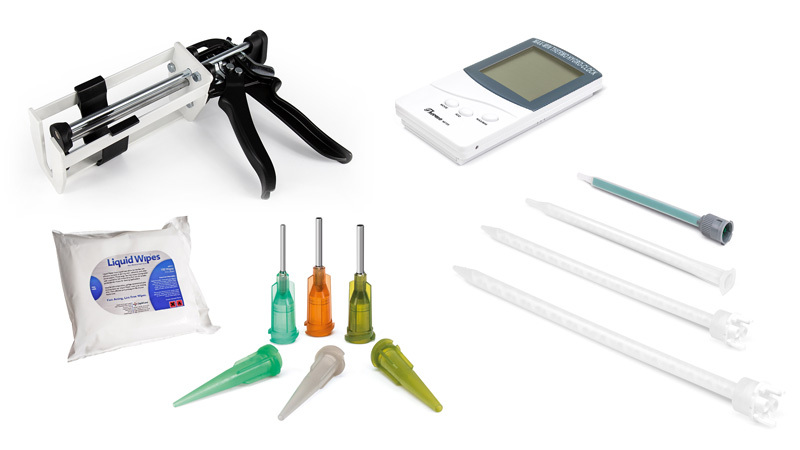 To make the job as easy as possible, we recommend accessories such as resin applicators, work surfaces, mixers, wipes, bubble remover, spirit level and repair tools. You can get everything you need separately from Liquid Lens, and we include them in our Doming Kits. 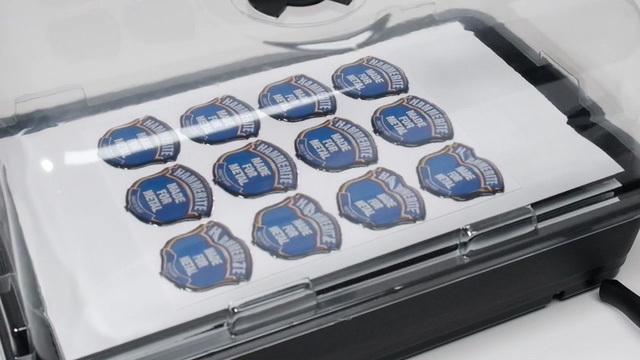 Bonus Tip: Our magnetic work trays are designed to keep your printed labels still and flat, for hassle-free doming. Finally, and most importantly, you’ll need resin. The higher the quality of the resin, the better the results. Plus, high-quality resin is much easier and faster to work with. All Liquid Lens resin is of the highest, automotive grade and we are so confident of its quality and packaging that we offer a 12-month shelf-life guarantee. If you store it as we recommend, your Liquid Lens Advanced2 resin will perform as flawlessly after months on the shelf as it does when you first receive it. We’ll replace any cartridges that don’t meet this standard, guaranteed. Polyurethane resin comes in two-part cartridges that keep the catalyst separate from the resin until you apply it. It’s the catalyst that starts the curing process. Cartridges are available in various sizes, and you apply the resin by hand with a matching applicator or a doming machine. 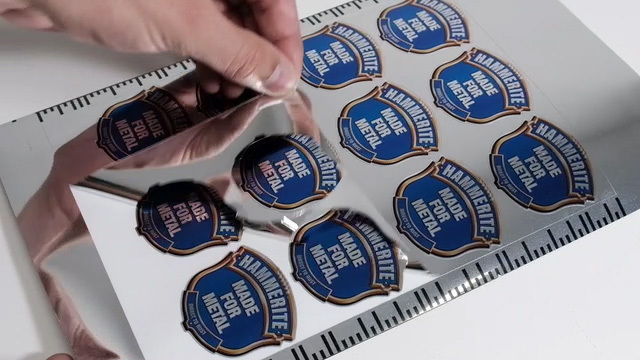 This video demonstrates how to make domed labels from start to finish, and below we break down the process step-by-step. Create a cut line around your image or logo. This is the line that tells the cutter where to cut. Duplicate the image, with cut line, to layout a grid of multiple images. Add your cutter registration marks, unless using VisualRIP+ which adds them automatically. These are the marks that you’ll use to align the media in the cutter and therefore create a starting reference for cutting. Load your print media and send the job to be printed. You may need to allow 15 minutes for the ink to dry. Solvent inks may need 48 hours. Once the ink has dried, your labels are ready for cutting. Load the media into the cutter. From your software, send your file to cut. The cutter will wait for you to align the cutting knife with one of the registration marks. It will read the other three marks automatically. With a high-volume cutter, like the Summa S2 Class, job recognition is faster thanks to the OPOS barcode server. The server stores the cut file in a database for every job, so that the cutter can recognise each job by its barcode. The machines have done their work. You have your freshly printed and cut labels. Now it’s time to get doming. The following eight steps are the process that we’ve developed at Liquid Lens to produce the best results with our Advanced2 resin. Doming can seem awkward at first, but we’ve trained enough people to know that you’ll be up to speed in no time. You’ll need to create the optimum environment for doming. When using polyurethane resin, the room must be clean, warm and dry. Make sure the environment is dust and fibre free to prevent contamination of the finished dome. In order for the resin to flow, cure and form correctly, the temperature should be 25°C (77°F). High humidity will adversely affect the doming process. 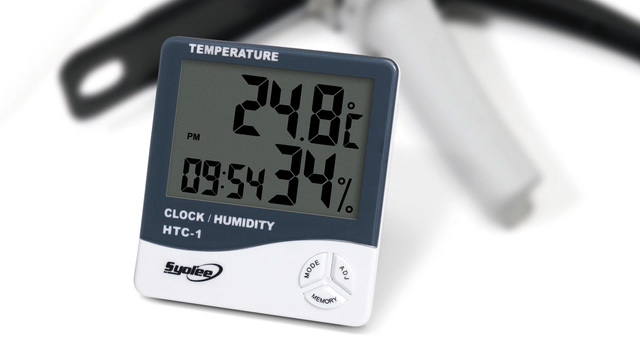 Use a temperate and humidity gauge to be sure. Use a dehumidifier if necessary, to keep the environment dry with less than 35% relative humidity. Position an alloy work tray on a flat level surface to keep the printed sheet of labels flat during curing of the resin. 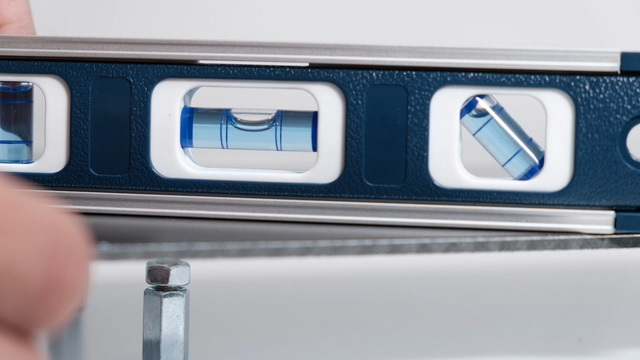 The alloy work surfaces available from Liquid Lens measure 325 x 190mm or 450 x 330mm. Carefully remove the waste layer to leave the printed labels and the lower release paper. We call this ‘weeding’. Lay the sheet on your work surface. This is where our magnetic work surfaces come in very handy. Make sure that each sheet is flat on the work surface before applying the resin. 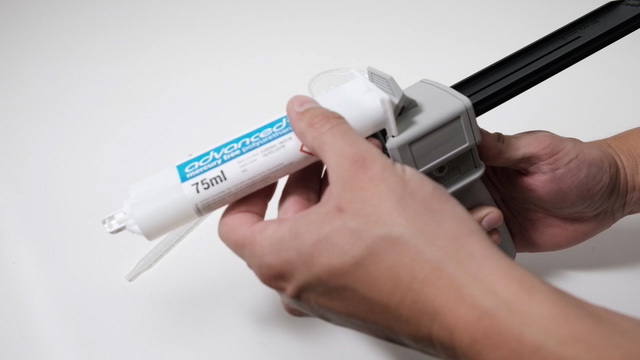 Load a Liquid Lens resin cartridge into the resin applicator. Twist the resin cartridge end cap through 90 degrees and remove including the rubber inner cap. Attach a static mixer in the same way. 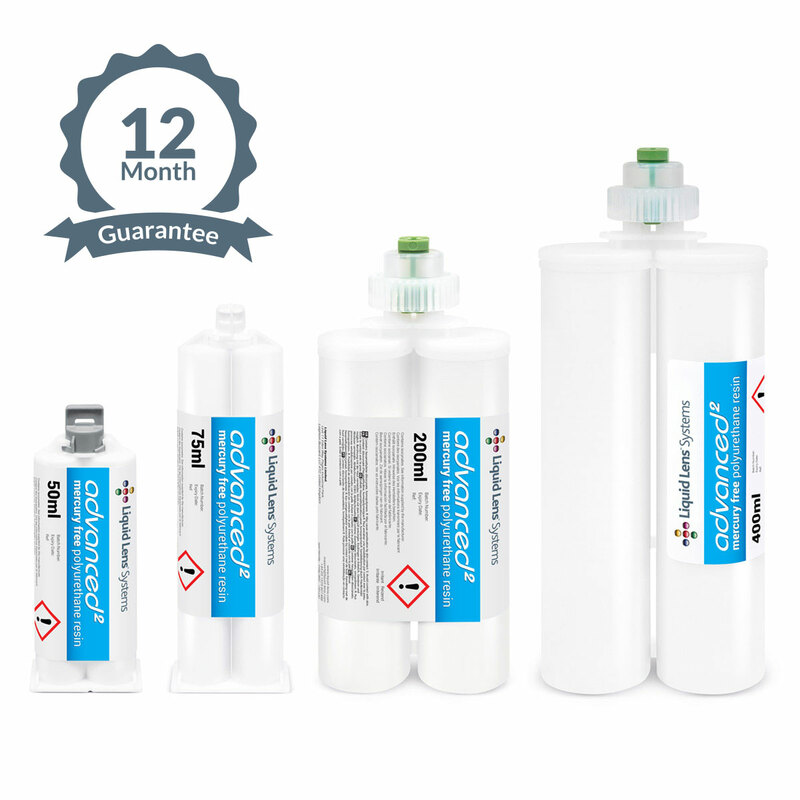 To ensure correct initial mixing of a new resin cartridge, always discharge the first 5ml. This will also stop any air bubbles making their way on to the printed labels. Apply the resin at a slow uniform speed. Always apply less resin than you actually think is necessary and always give the resin time to flow to the edge of the label. As a basic guideline apply enough resin to cover approximately two-thirds of the printed surface area. Remember to wait after the first application before applying additional resin to the dome or before carrying out any repairs (removal of air bubbles, overspills, dust etc). Wait approximately 3 minutes after application and check the surface of each dome for trapped air bubbles. There’s a quick way to release air bubbles; “flash” the surface with heat by igniting a flame torch – very quickly. Do not expose the domed label to excessive heat because you might cause the resin to fail or damage the labels. Cover the finished sheet of labels with the next work surface to protect the domes from dust contamination during the curing stage. The domes need to cure for several hours before they’re ready to be applied. Larger domes cure faster than smaller ones because there’s more material available for the chemical reaction. Resin domes are usually touch-dry within 2-6 hours in the ideal environment, which allows you to peel and apply your domed labels. They should be fully cured within 24 hours. You can reduce the curing time to 2-4 hours with a Liquid Lens Quality Control Unit, or around 90 minutes in one of our curing ovens. Congratulations! You now have beautifully domed labels, ready for sticking. Of course, you’ve probably just read this guide to learn about doming labels and haven’t been following along. So, what’s next? Hopefully, we’ve given you enough information to decide which doming kits, machines or Complete Systems you’re most interested in for your business. 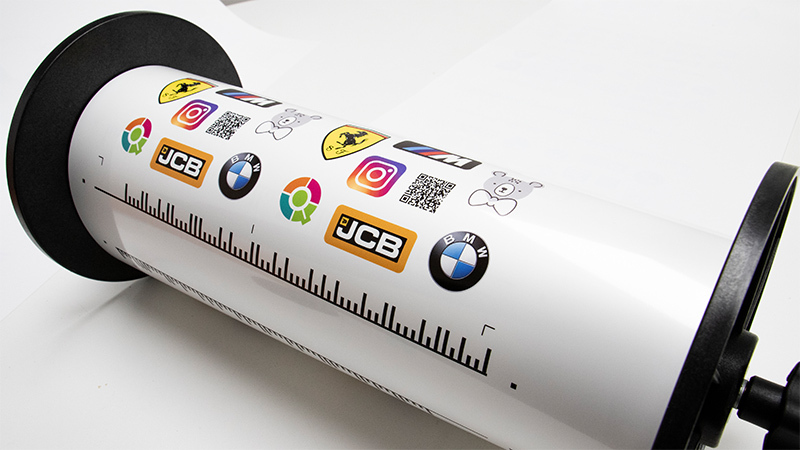 There’s a lot more to discover, such as metallic and transparent labels, printing variable data and all the many things you can make with domed labels. Liquid Lens has over 20 years of experience with resin, domed labels and doming systems, so feel free to lean on us if you have more questions.